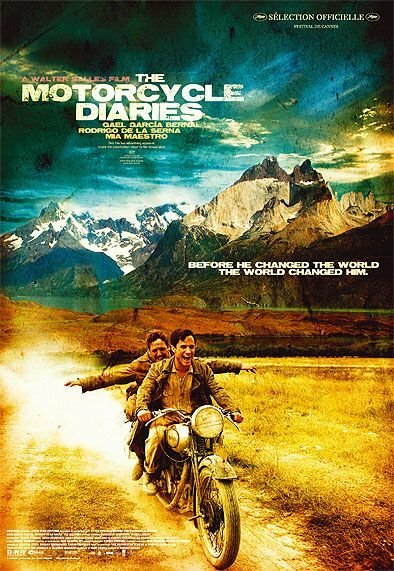 World Movie Series - 6 - The Motorcycle Diaries ~ Scorp's Say ....! 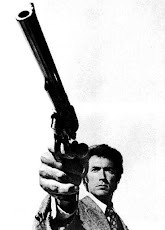 Here is another world class film which I wanted to bring under this series. Although I have written the review in Jan, I didn’t want this movie to be missed out in the World Movie Series. Hence, I have given the entire post here. Plz don’t mind the repetition of the post. A bike; two absolutely mad friends; a continent to travel. This is ‘Motorcycle diaries’ in a nutshell. Alberto Granado and his young friend Ernesto Guevara de la Serna decide to make a road trip. Not of a few kilometers but to travel around 10,000 kilometers – an entire continent – South America. Ernesto is a 23 year old medical student and Alberto is a biochemist. They both decide in 1952 January about the trip they were planning for a few years, and to start on a journey which, later is referred to as the starting point in Ernesto’s life transforming him altogether. In an old 500 cc motorcycle called ‘La Poderosa II (The mighty one) which belongs to Alberto, they both set off for a journey inside South America. They traveled through Argentina, Chile, Peru, Ecuador, Colombia, Venezuela, Panama, and to Miami, before returning to Argentina. Imagine such a journey in 1952 throughout an entire continent – that too, in a motorcycle! It was this journey, which transformed Ernesto from a medical student to one of the greatest revolutionary leaders the world had ever known. They face several incidents – happy and sad – which leaves a deep impact on Ernesto’s mind. He slowly starts to understand the poverty, oppression, illness and suffering among the people of South America. Where ever they both go, they see poor people being browbeaten by filthy landlords. The poor doesn’t have proper medical aid, and they die whereas the rich landlords exploit these poor people. All the while, Ernesto keeps writing letters to his mother in Argentina. In those letters, Ernesto gives a vivid account of the miseries of the people he has witnessed. Slowly, these incidents transform his mind, and ultimately at the end of the journey, a new Ernesto is born. They both visit a leper center in San Pablo in the Amazon forests in Peru. Ernesto becomes touched and moved by the leper patients staying there, in one bank of the river and the doctors staying on the other bank of the river. The patients didn’t even had the minimal needs to be serviced. No cloths, no proper food, medicines and money. One night, Ernesto jumps in the river and swims across to the other bank, where the patients live – traversing a distance of two and a half kilometers. Ernesto keeps track of all his journeys through a journal. He writes in the journal about the journey as follows. "This isn't a tale of derring-do, nor is it merely some kind of 'cynical account'; it isn't meant to be, at least. It's a chunk of two lives running parallel for a while, with common aspirations and similar dreams. In nine months a man can think a lot of thoughts, from the height of philosophical conjecture to the most abject longing for a bowl of soup – in perfect harmony with the state of his stomach. And if, at the same time, he's a bit of an adventurer, he could have experiences which might interest other people and his random account would read something like this diary." The original book was published only in the year 1993. From then, it has become a hit and has been in the New York Times best seller list a lot of times. Now, for the people who didn’t guess who was Ernesto (I know 99 % would have guessed by this time), he was none other than ‘Che’ Guevara, the great guerilla warrior, who played a significant role in liberating Cuba. He slowly transforms from a medical student in to a leader who cares for the people throughout the journey. See Motorcycle diaries, and get a chance to share the love, the fun, the joy, the hunger, the passion, the madness and the glory of two ordinary people, who traversed throughout the continent of South America. 13B, Orhan Pamuk & Gulaal . .
Benjamin Button - Better, not the best . .